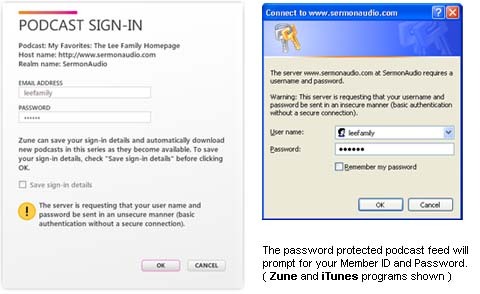 SermonAudio.com | SermonAudio Tip: Download your favorite sermons via protected podcasts! 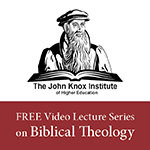 Download your favorite sermons via protected podcasts! You can now use your favorite podcast program (ie: iTunes, Zune, or other) to download all of your favorite sermons and videos to your portable media player! This is accomplished by clicking on the new PODCAST button that can be found in your private My Favorite Sermons section. Typically, in the past, the only way you could download your favorite sermons in batch was to use the Transfer Agent because sermons marked as "my favorite" were private and podcasting is normally a public feed. But now, in addition to the Transfer Agent you can access your entire private favorite sermons list via a protected podcast feed which will prompt for your SermonAudio Member ID and Password in order to gain access! So go ahead and effortlessly download hundreds of sermons at a time with your favorite podcast program! You should do that when you're not trying to sell something.